Yara Yassin is a 28 year old product designer, who was born and raised in Cairo. Living in Cairo motivated Yara to study and work for social and environmental causes. In fact, her product design education allowed her to conceptualize Upfuse, a university project that Yara turned into a profitable business idea. Upfuse is a social enterprise producing bags and luggage made from upcycled plastic. Yara won first place at Womena competition, funded by the World Bank, and joined later as an Ambassador. As Ambassador, she represented MENA women entrepreneurs at the “We Rise” conference. In addition, Yara has been awarded by the UN Environment as a “Gender Pioneer” working to detoxify the future. Farah El Masry is the Creative Director at The Doodle Factory, a lifestyle brand that uses underprivileged children’s drawings as the main source of prints for their everyday products. The proceeds are used to fund the health, educational and survival needs of these children. Farah has previously worked at Mashrou3 Kheir alongside her Co-Founder Yasmeen Khamis and started The Doodle Factory from there. She graduated with a BA in Philosophy from The American University in Cairo and just completed her post-graduate diploma in “Traditional Arts and Crafts” from the Jameel House of Traditional Arts. Art and Design have always been great passions for Farah. She understands the incredible impact that they both have on the lives of individuals, especially children. After living in 6 different countries, and being exposed to multiple and diverse cultures, Nedal Badr is a renowned name in the local design community. With his ability to incept new ideas, his passion for design has paved the way for more growth and innovation within the industry. Nedal’s background lies in architecture, interior design, and product design, and applies his immersive knowledge in his own studio, Design Zone. In addition, Nedal is a proud participant in multiple product design events, winning the Silver Award and and Gold Award in Design + Industry 2012 & 2014. Nedal also experienced Milan il saloni 2013 with SFG and participated in Salon Satellite 2014. Today, Nedal prefers to enrich the industry through the medium of teaching interior design in multiple institutes around the city. With a shared passion for design, sustainability, and giving back to the community, this panel discussion focuses on what it means to design thoughtfully, inclusively and sustainability. The panel discusses the means of having a socially-driven business, how to establish one, how to sustain one and how to make sure it grows. They also discuss some of the Egypt-specific challenges that face businesses of this nature and tackle different ways of overcoming them. Primarily, this pane poses the question of how we can set the stage for socially-driven initiatives to flourish. Amr Orensa, a botanist by education, a passionate photographer, traveller, and an astute businessman, is the design manager at Pinocchio, one of the foremost furniture manufacturers in Egypt. The scope of his work covers designing Pinocchio’s annual furniture collections, coordinating the work of other designers in the company, offering design workshops and trainings as well as setting the design strategy for Pinocchio. In 2016, Amr started Designdustry as an initiative that aims at bringing furniture designers and manufacturers together to exchange knowledge and expertise and boost Egypt’s furniture industry. With an eye on Egyptian heritage and culture and a deep knowledge of the latest technologies in furniture industry, Amr targets producing furniture that has local identity and global quality. In response to the diversified needs of the market, companies are required to provide more user-oriented products and services than ever. In order to satisfy such needs, much attention has been paid to customization. Doing that on a big scale is called mass customization, which involves taking elements from our current production system and developing them in new and exciting ways. Amr talks to us about the value of modular design and how thinking modular is the best way to approach mass-customization. Ahmed Hefnawy is a man of many talents. He is the founder of Cairopolitan, an Illustrator, Product/Graphic designer, Sculptor and Collector. Born and raised in Cairo, he graduated from fine arts in the year 2000. Soon after graduation, Hefnawy worked in the advertising field until 2017. During his later years in advertising, Hefnawy worked in Leo Burnett as a storyboard illustrator, art director, graphic designer and a creative. In 2006, the idea of founding Cairopolitan began to grow, combining his art & design background with his extensive experience in the professional sphere. Hefnawy took part in several group exhibitions over the years. Some of these include "The Mediterranean Triennial" , "Horreya” in Helsinki, Finland and Cairo, and "Inktober Exhibition, Medrar”. Nelly El Sharkawy is an architect and ballerina who started Photography in 2011 and began shooting conceptual self-portraits in 2012. Nelly participated in exhibitions all around Egypt, including SOMA Art School, ArtsMart, Darb1718, DCAF, Kasr el Fenoun, Photopia Photo Gallery at The Westown Hub’s Winter Festival, El Sawy Cultural Center and many others. Nelly won The CIB’s prize for the 25th Youth Salon and was nominated for the Foam Paul Huf Award in 2017. She is a co-founder of the Cairo-based initiative, Mashrou' El Saada, which aims is to psychologically support people living in Egypt's neglected slums, by the use of color and design. Nelly joined Cairopolitan in 2017 and is currently a Partner, Manager and Creative Director. Omar Abdel Latif is a Mechanical Engineer who graduated from the American University in Cairo (AUC) with high honors. Having minored in Business, he was selected to represent AUC in the Hult Prize Competition, a one million dollar competition aimed to solve some of the world’s key social challenges. With diverse working experiences ranging from Engineering, Operations, Marketing and Sales, Abdellatif landed in Uber in 2016. He is responsible for the exponential growth of Uber in Alexandria and the North Coast. Abdel Latif is currently working as Operation & Logistics manager at Uber, and is responsible for recruiting thousands of drivers in the MENA region. Omar is also a business partner in Cairopolitan, leading business development & setting marketing strategy. Salma Mobarak has extensive experience in the area of Cultural Mediation. Her field of research is Comparative Literature with expertise in the relationship between Literature and Cinema. Mobarak is a professor at the French Department of Cairo University’s Faculty of Arts. She is also co-founder of the “Cultural Development” diploma at Cairo University, as well as the “Cinema Critique” diploma at Ain Shams University. Employing her expertise, Mobarak authored two books entitled النص و الصورة ، السينما و الأدب فى ملتقى الطرق published by the General Egyptian Book Organization and Débuts en comparaison. She is the founder and director of the “Amoun Researchers Network in Cinema and Literature”, and has founded the first Cinema Club at Cairo University’s Faculty of Arts. Cairopolitan was created through visual observations of Cairo’s contemporary life. Founded in 2006 and launched in 2017, the brand focuses on designing and manufacturing a series of products directly connected to Cairene everyday life, reminding us of all that is special about Cairo. The Cairpolitan team discuss the challenges of transforming a design idea into a final product. They talk about brand positioning and project sustainability from both design and business perspectives. The team discusses the difference between business and commercial art. They delve into the value of partnerships, the science of marketing and the importance of defining your consumer and knowing how to reach them. Omar Nagati is a practicing architect and urban planner, and the co-founder of CLUSTER, an urban design and research platform in Downtown Cairo. He studied at UBC Vancouver and UC Berkeley, and adopts an interdisciplinary approach to urban history and design, focusing on empirical research and critical mapping of urban informality. Nagati teaches an Urban Design Studio at the MSA University in Giza and is currently a visiting professor at the University of Sheffield, UK. Nagati is co-author with Beth Stryker of Archiving the City in Flux (2013) and Street Vendors and the Contestation of Public Space (2017). He’s also co-editor of Learning from Cairo (2013), and Creative Cities: Reframing Downtown Cairo (2016). 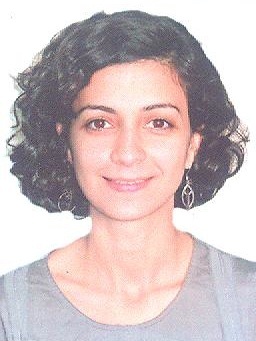 Eman Elhoufy is the Programs and Business Development Manager at CLUSTER. She has undertaken different roles in a variety of social and cultural organizations in Cairo, including CLUSTER, Goethe Institut Kairo, and Downtown Contemporary Arts Festival (D-CAF). 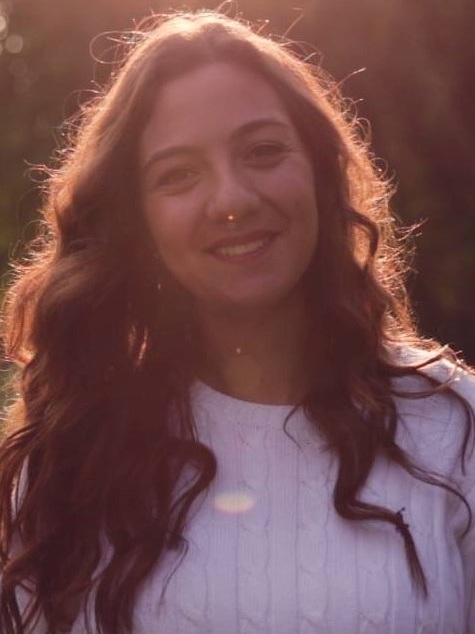 Elhoufy worked as a business analyst with the management centre UK (=mc), where she carried out assignments for the British Film Institute, Amber Associates Newcastle, and the WorldWide fund for Nature UK. Her responsibilities included producing analysis of organisational background and context, as well as ‘testing’ systems and supporter journeys to assess their effectiveness. Elhoufy has a Bachelor degree in Economics from The American University in Cairo (AUC). As part of its ongoing theme of Art and Culture as Urban Catalysts, CLUSTER will present some of its current and previous projects that map creative initiatives, develop networking platforms and propose design interventions to promote inclusive public space. These projects focus on Cairo, but have also been extended to examine other cities in the MENA region, such as Amman, Beirut and Tunis. CLUSTER will also present a summary of its latest study entitled Creative Initiatives: Economic Impact on Downtown Cairo with the support of the British Council. This project critiques the conventional definition of “creative class”, while offering a more inclusive framework to measure the spillover effect of creative initiatives on informal economy and the urban setting. Hatem Tag graduated from the Scenography department of Fine Arts- Helwan University in 2011. Tag founded Qabila Media Production in 2010. In the same year, he also founded and managed the Qabila Film Festival. Tag has directed a couple of short films and has executive produced more than 400 videos and shows, produced by Qabila and Bare Entertainment. Tag is currently the CEO of Bare Entertainment and Qabila Media Production. Hatem Tag talks to us about how he started his journey with Qabila. He details how they grew from a small room with only 3 individuals to an established entertainment company with 50 artists, who develop creative content around the region. This content, now, ranges from tv series to animated cartoon shows with networks like Cartoon Network. In addition, Hatem also discusses Bare Entertainment’s creative and production process. He talks about how they choose, develop and execute their ideas into final products. Islam El Mashtooly is an architect, urban designer, and educator. Embracing a comprehensive and humane design philosophy, Mashtooly is committed to architecture that supports and enhances communities. Mashtooly has worked in a wide range of projects, and he has been awarded the 2015 “Middle East Young Architect” in Dubai, UAE. He also won the “Outstanding Individual of the Year” in ME Consultants’ Awards. Mashtooly was selected as one of the top 40 power list architects in the Middle East, retaining this position for four years in a row. Most recently, Mashtooly was announced as one of the curators for the Egyptian Pavilion’s Venice Biennale 2018 with a team of Dubai-based architects including Cristiano Luchetti and Mouaz Abouzaid. Mouaz Abouzaid is an award winning architect with laser focus on simple, functional, contextual yet aesthetical design. Abouzaid is a Design Technology Manager. He is a proud winner of the MEAA Young Architect of the Year Awards of 2016. In 2018, Abouzaid was appointed as curator for the Egyptian National Pavilion La Biennale di Venezia. Moreover, Abozaid has retained his position in the top 50 most influential Architects in the Middle East for 3 consecutive years. For over 15 years, Abouzaid has been working at the top international firms in the Middle East. Equipped with a tremendous working experience, Abouzaid’s expertise covers multiple market sectors such as residential, commercial, cultural, hospitality and mixed-use. Islam El Mashtooly and Mouaz Abouzaid curated the 2018 Egyptian National Pavilion at the Venice Biennale (La Biennale di Venezia), along with Cristiano Luchetti. The Biennale’s theme was “Free Space”, and within that, the curators proposed, “Robabecciah”, a theme of redevelopment strategies for spontaneous commercial spaces across Egypt. Islam and Mouaz talk to us about their journey with the pavilion, taking us through their processes of conceptualization, design development, fabrication, and construction. To them, “Robabecciah” represents an important metaphor for the anthropological-urban condition of Egypt. It also exemplifies all the layers of the Egyptian society. Robabecciah is a proposal that aims to upgrade and govern large urban areas allowing a “free use” that contributes to a better living. Karim Shaaban is a Cairo-based filmmaker with a diverse array of skills and experiences under his belt. Starting his journey in 2006, he has gone from experimental short films to advertising, music videos, documentaries and short feature films. His most recent projects involve directing the Shell Rimula and the Shell Helix commercials. Shaaban approaches filmmaking with the unique purpose of narrating a story. As an accomplished director, he mainly regards himself to be a visual storyteller, who uses analytic observation and meticulous attention to detail to tell a story that is richly layered with symbolism and poignancy. Shaaban’s distinctive brand of filmmaking stems from his extensive experience across the various filmmaking departments, including editing, sound production, camera operations and more. As a filmmaker, visual storytelling is about the decisions you make every step of the way to convey your message. This transcends the technical considerations of frame size and camera movement. Because while such tools are crucially important to the filmmaking process, a filmmaker needs to have an acute understanding of what they want their audience to see; how they want the audience to feel, react to and consider. Karim Shaaban takes us along his own journey as a filmmaker, showing us how he started in the business, what he has accomplished so far and what he thinks is most distinguishing about filmmakers and their work. Karim also talks about the great value of experimentation, of self-learning and specialization. 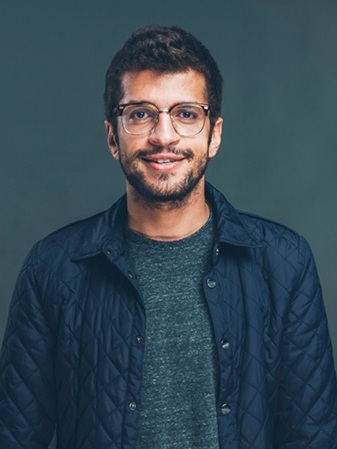 Mustafa Sharara is a filmmaker, an entrepreneur, co-founder and CEO of Excuse My Content, a house of filmmaker creatives who bring the craft of filmmaking into the advertising world. Sharara’s work has been recognized by several local and international organizations like National Geographic, The World Bank, MBC Group, Samsung Mobile, Huntgram, and El Bawaba. He was also featured on Cairo Scene’s list of “25 Under 25: Egypt's Youngest, Bravest, and Most Impactful Entrepreneurs of 2016”. As a naturally curious explorer, Sharara has a knack for photographing and sharing unique scenes of Egypt. He amassed a substantial following on Instagram and became an official featured user. Mustafa is a proud ambassador of the #thisisegypt campaign, and has had one of his photos featured in New York’s Times Square in 2016. Omar Heraiz is Co-Founder, Creative Director and Film Director at Excuse My Content; a video content production agency based in Cairo. In addition to his BA in Applied Media Design, he pursued careers in business development, project management, animation, branding & strategy, editing, and scriptwriting. Heraiz has been working professionally as a writer and filmmaker since 2012, creating films and advertising for individuals as well as brands like Danone, Nielsen, Unilever, P&G, UN Women, Rise Up, Wuzzuf and Hyde Park Developments. He took part in Social Media Day delivering a talk about branded online content, and conducted multiple workshops on creative process, filmmaking, and advertising in private and public events. Heraiz’s most recent work can be seen within the Excuse My Content portfolio. Excuse My Content co-founders will be shedding light on their own experience as filmmakers and business owners from the very beginning of their journey till the present time. They will be sharing the story of their passion, and how they were able to bring the craft of film into the advertising scene in Egypt. The team will also talk about the ups & downs along this journey, how they deal with the daily inner-conflict of creating video content for value vs. money, how they design their creative process, and how they see the future of video content and filmmaking in Egypt. Mohamed Elshahed was trained as an architect at the New Jersey Institute of Technology before joining the Aga Khan Program for Islamic Art and Architecture at MIT and completing his PhD at NYU's Department of Middle Eastern and Islamic Studies. His multidisciplinary scholarship and practice focus on the history of modernism in Egypt. As the “Modern Egypt” Project curator at the British Museum, he built a new collection of material culture from the past century in Egypt to be part of the museum's permanent collection. He is the curator of Egypt's medal winning pavilion "Modernist Indignation" at the 2018 London Design Biennale and “Cairo Now! City Incomplete” at the 2016 Dubai Design Week, featuring 65 Egyptian designers. Elshahed is the author of the forthcoming book Cairo Since 1900: An Architectural Guide, published by the American University in Cairo Press. Ahmed Tahoun studied textile Engineering. Although unrelated to Visual media, he found himself drawn to photography, moving images, and Cinematography after graduation. Ahmed worked for many years as a Cinematographer, in varying projects like TV commercials and Documentaries, and in varying countries like Egypt, Germany, Brazil, France, and Lebanon. Tahoun has worked as a Director, Producer, and Cinematographer. His work can be described as a dynamic, fast-paced, and vivid portrayal of the youth’s sub-culture, with a heavy influence from music. He enjoys turning the streets into his own concrete playground. Ahmed is based in Cairo. Ahmad Hammoud is an independent graphic designer and art director. His main area of interest is visual culture with a specific focus on popular design and vernacular aesthetics. Hammoud has worked with multiple cultural entities such as Cairobserver. His work was featured in Cairo Now! City Incomplete Exhibition in Dubai Design Week 2016. His work was also featured in the two rounds of 100 Best Arabic Posters Competition. After graduating, Hammoud began applying his design thinking background in the advertising field. He worked at Kairo, a leading independent advertising agency, for a year as an art creative director. Mai Elwakil is a writer, editor and video producer based in Cairo. She is the co-founder and former director of Medrar.TV, and currently works as the multimedia series editor at Mada Masr. Panelists will discuss the experience of filming short videos related to two design exhibitions curated by Mohamed Elshahed, first Cairo Now! City Incomplete at the 2016 Dubai Design Week, documented by Medrar TV, and second, Modernist Indignation, the winning exhibit at the 2018 London Design Biennale, which included a short film by Ahmed Tahoun and Ahmad Hammoud and was also documented in a video by Medrar TV. The conversation will focus on the approaches of the videographers in documenting and participating in design exhibits, working with limited resources and challenges of filming.